I do not give out ratings of 10 lightly, but here it is - the first film in years that has been deserving of the rating. Neill Blomkamp brings to screens a fantastic, gritty, realistic piece of science fiction with District 9. Not since Ridley Scott's "Blade Runner", John Carpenter's "The Thing", or James Cameron's "Aliens" have we seen a science fiction film with a vision of this caliber. After viewing District 9, it will be clear to one and all why Peter Jackson put so much faith in Blomkamp and took him under his wing as protégé. Abandoning the usual settings of Hollywood sci-fi and placing us in the harsh slums of South Africa, we are given an original piece of work which takes risks in the way it tells its story. Not only does it go against the expectations of audiences who have been trained to expect mediocrity from their sci-fi, it goes above and beyond the call of duty to provide us with spectacle as well as something to ponder after we've downed our popcorn. There is, thankfully not an overused, overexposed celebrity in sight, and every unknown face in the film gives a solid performance. The aliens themselves, brilliantly realized with top notch CGI even manage to make us feel something, only rivaled by Gollum from "Lord of the Rings". 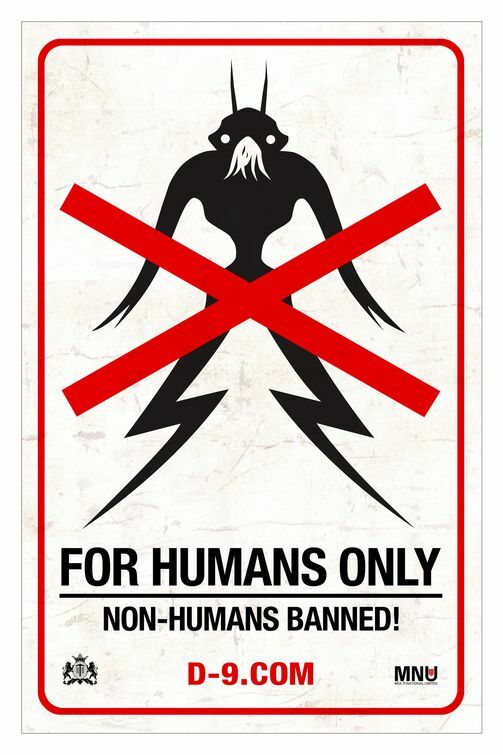 District 9 has so much to like. It's spectacular, darkly funny, entertaining and thoughtful all at the same time, and it's all done on a meager $30m budget. There is true talent on show here. If only there were more films like this, the world of cinema would be a more interesting place. So there you have it. Go watch district 9!! !